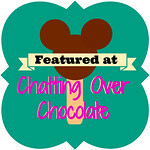 Chatting Over Chocolate: Pinteresting Father's Day Ideas! Can you believe that Father's Day is already this weekend?! Need some last minute ideas? 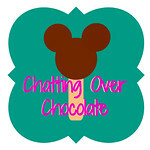 Check out these amazing tutorials, mouthwatering recipes, and free printables! Google Friend Connect, or have each new post delivered to your inbox! Great ideas! Father's day is really sneaking up on me this year and I have NO CLUE what to get my hubby. Thanks for some great ideas!! Sure thing, Carrie! I'm glad you found it helpful! :) I'm still working on planning/prepping for it myself!! Such cute and clever ideas! I always love to see what you've pinned for the week. Have a great week, Brenda! Great pic's as always my dear!!!! Thanks so much for adding my Father's Day candy jars to your list! I really appreciate it!